Our philosophy at The View Resort & Restaurant is simple: Everyone who walks through our doors is either already a friend, or will be. By embracing that theory, we know that every guest will have exceptional service and outstanding food and enjoy their time. To ensure our philosophy, we have trained our management team and service staff to be most diligent and experienced as possible. Come to The View Resort & Restaurant whether for a holiday, business trip, casual dinner, a party, a business meeting. 8 luxurious bungalows and 1 grand villa built alongside the mountain, all with majestic views of the famous Dat Taw Gyaint Waterfall and mesmerizing sunsets. 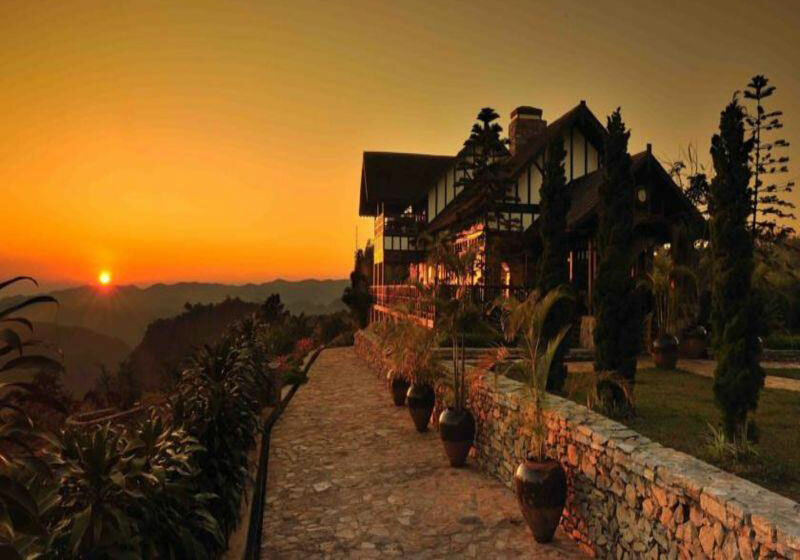 Short Description: 8 luxurious bungalows and 1 grand villa built alongside the mountain, all with majestic views of the famous Dat Taw Gyaint Waterfall and mesmerizing sunsets.